Using virtual reality, we can look more closely at the highly intricate, sculptural forms of our network collections. The structures scaled to gigantic dimensions make all the movements and twists of the elastic links appreciable. The aesthetic values of materials such as concrete, ceramics and polymers emerge, and they appear tangible. Immersed in different scenarios the models appear theatrical and sometimes become almost public art. In their most monumental version the networks seem to allude to the Mobile project (Versailles) and The Big Mobile by Xavier Veilhan, and in the smaller scales reference some works by Yayoi Kusama, like Soaring Spirit. 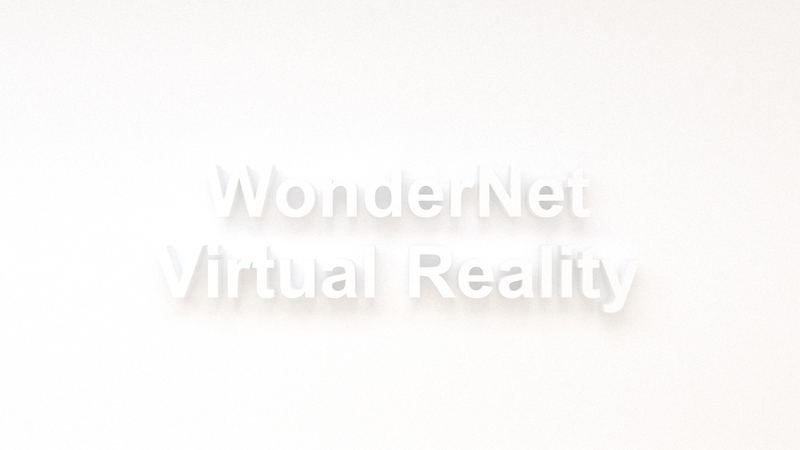 The roots of WonderNet lie in the evocative power of network structure and the different expressions of its form fit with a more utilitarian plane, where the scientific message has a fundamental role. Behind the layout of each network there is the genius of scientific innovation. The beauty of the forms is combined with the discovery of universal laws of physics.